Bonjour mes merveilleux amis! 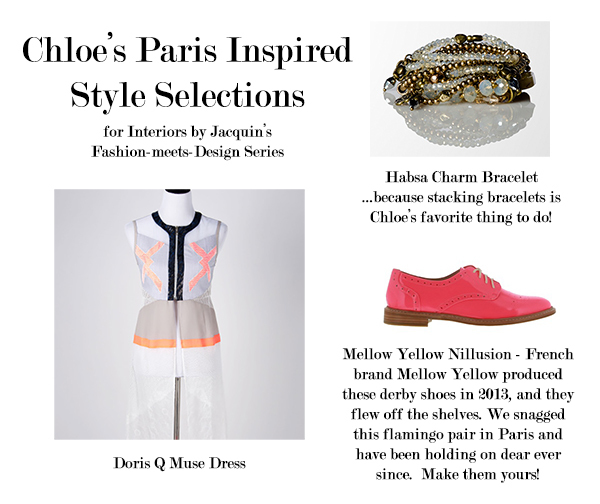 My name is Chloe Johnston, and I’m the founder and president of my own passion-turned career called Chloe Johnston, a lifestyle brand born of Parisian experiences in luxurious fashion, art, culture, and the hidden gems of new cities. Discovering Paris at the age of 12 and the multitude of trips that followed allowed me to live and breathe French culture, and now I’m sharing my hidden secrets with fashionable tourists who seek the true meaning of Paris. Whether you’re a bride searching for that magical dress, a group of girlfriends dying for the European trip of a lifetime, or just a mom and daughter interested in a bonding experience for the ages, I can whip up your perfect experience complete with the most exclusive shopping. I recently expanded into NYC and now a few more cities are being whispered about as you read this! Obvious hint: London and Milan! 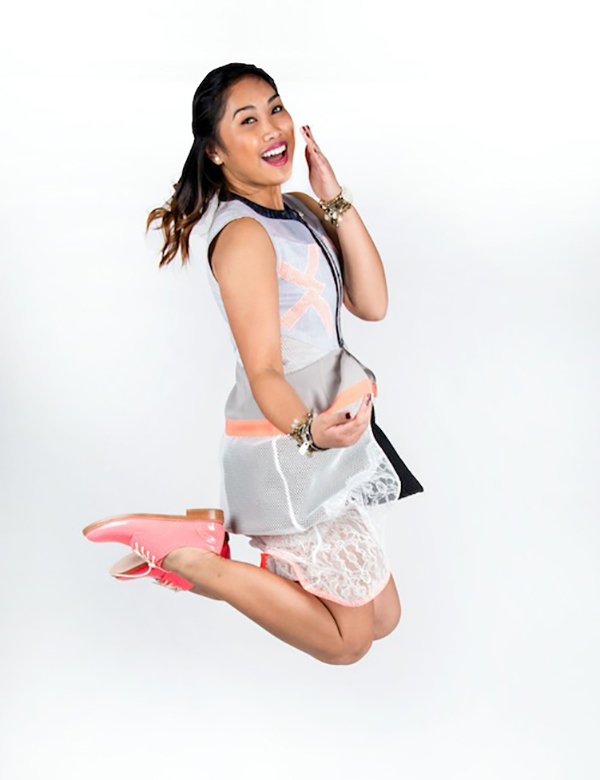 My personal style is an eclectic mix of classic, chic, playful, and trendy. I am also aware of comfort and how a piece makes me feel. I love incorporating the old with the new, and taking my own spin on “trends,” whether they are current or from previous seasons. The most important thing about my style, is that it is my own! 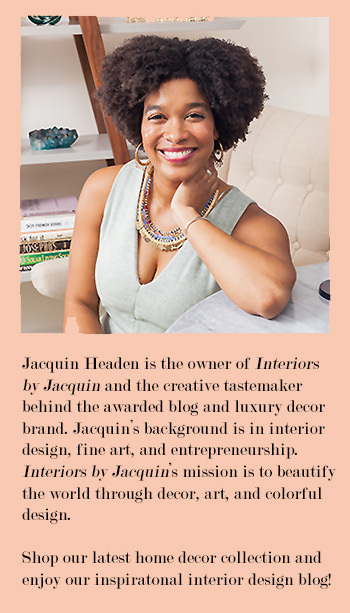 When Jacquin sent my interior design options to base my styled look on, I knew this was the room! (see below). 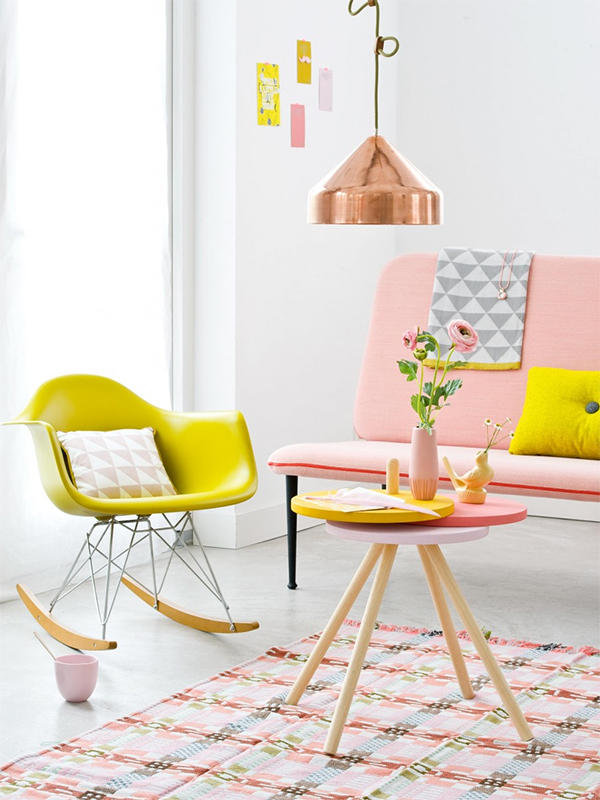 This lovely room, is playful yet chic and glaringly fresh! My eyes are immediately drawn to the rose gold light fixture, followed by the unique canary yellow rocking chair (it helps that my favorite color is yellow). What strikes me most are the geometric patterns and shapes expertly positioned throughout the room. From the pillow and blanket to the table and rug beneath, the geometrical theme is evident everywhere. This room is all about the unexpected details, from the quirky wall art (do I spy a mustache?) to the pink cup placed casually yet poignantly on the floor. Modern, funky, and bright, it’s the room that makes me just want to smile and play. 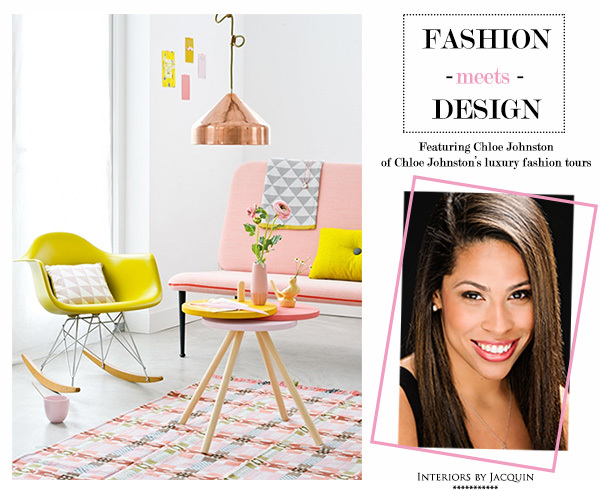 Our June Look of the Month at Chloe Johnston actually mirrors the playfulness and geometric patterns of the room perfectly! The Doris Q sleeveless faux layer dress is the perfect addition to take an outfit from basic to avant-garde, and it also boasts a fun geometric design and pops of color among a neutral grey. The glossy pink Mellow Yellow Nillusion shoes feature another high-five of neon exposure, mimicking the brightness and pink hues of the room. The multilayer Habsa charm bracelet factors in as our rose gold accessory, much like the room’s light fixture. Just fantastic! If you’re looking to visit Paris or NYC and you want to plan a luxury travel & shopping experience, be sure to get in touch with Chloe Johnston’s amazing team! Now I know just who to call the next time I’m in Paris. Bring on the fabulous French fashion!